I love Tango DJ’ing. Not a big surprise here AND I love doing graphics too. Not only the advertising for my tango classes & workshops or The Magic Roundabout Milongas. Since 2010 I am creating my Tango DJ Squares for each of my tango DJ sets. Each year there is a slight change of design but the main idea stays. Letting you know about where you will be able to dance to my selection of tango tunes. 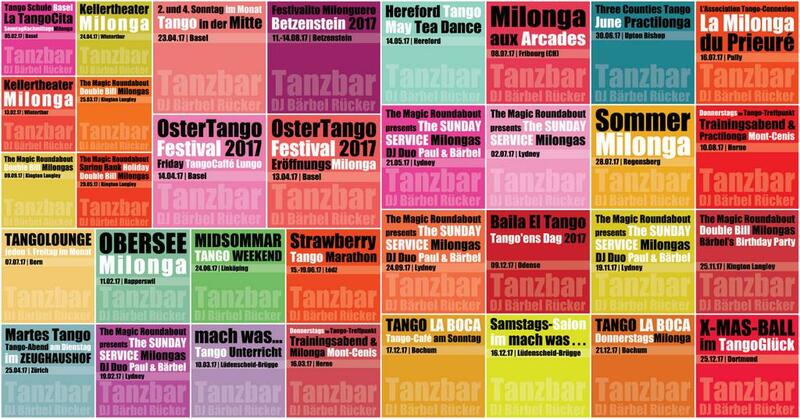 Those Tango DJ Squares have become a visual DJ Agenda and here you’ll find them all. Already now I have some bookings for Tango DJ Sets in 2019. It was time to find a different design. I hope you’ll like it.